Egypt’s military rulers say they will not bow to public pressure to step down and are accusing conspirators of instigating unrest in the country. However, a mass strike failed to get people’s support with turnout poorer than expected. 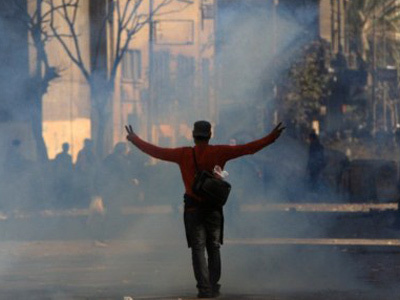 The main campaigners of the general strike are university students and Egypt’s Revolutionaries Alliance, bringing together over 50 political groups, Egypt’s weekly newspaper Al-Ahram reported on Saturday. The protesters say that little has changed since Mubarak’s removal, and are demanding an immediate handover of power to a civil authority. 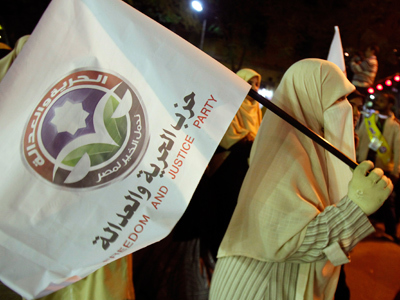 Political group Muslim Brotherhood, which won nearly 50 per cent in the new parliament, has condemned calls for the general strike. "rebuild the country and not bring it down." In anticipation of the strike, the country’s ruling Supreme Council of the Armed Forces (SCAF) began to deploy troops and tanks across Egypt. They also warned that the protests are a conspiracy, aimed at creating a rift between the army and the people. "We face conspiracies hatched against the homeland, whose goal is to undermine the institutions of the Egyptian state and whose aim is to topple the state itself so that chaos reigns and destruction spreads," the council said in a televised statement on Friday. The ruling military emphasized its role in toppling Hosni Mubarak’s regime and said that it will not give in to demands for an accelerated transition of power. "Never will we bow to threats, nor succumb to pressures, nor accept ultimatums," their statement said. The generals reiterated they are committed to the plan to pass executive power to a new Egyptian president due to be elected by the end of June. Middle East expert Dr. Omar Ashour believes the Egyptian military will eventually transfer power to the civilian authority, but only after ensuring that it still has control over the country’s affairs. 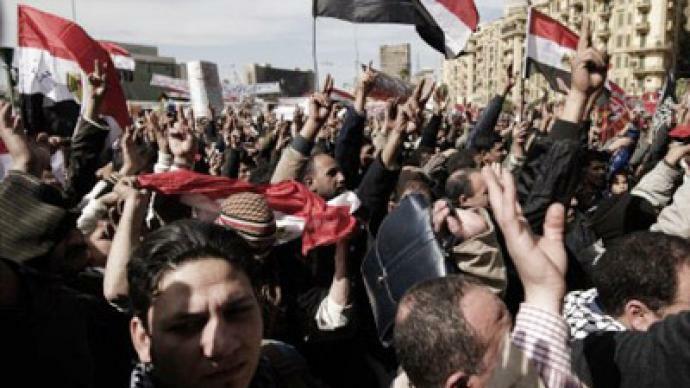 The SCAF wants to reserve its power in terms of national security policy and foreign policy. It needs legal and constitutional immunity for its leaders and it needs to secure its vast economic interests and the “economic empire” that it owns, Ashour told RT. Thousands gathered for rallies at the Defense Ministry in Cairo on Friday, demanding the end of military rule and the execution of the council’s head, Field Marshal Hussein Tantawi. 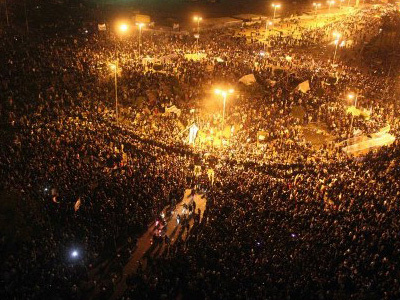 Critics say current military rulers apply Mubarak’s approaches to opposition and commit serious human rights violations against the Egyptian population. 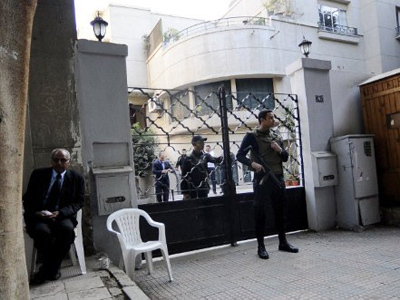 While Hosni Mubarak’s military tribunals were widely used to quash opposition, the SCAF’s military courts are believed to serve the very same purpose. Civilians can be tried for unlawful gatherings and a number of other charges, including violating military facilities and attacking military personnel. Human rights activists say that hasty military courts with their lack of proper investigation are not justice. According to campaigner against military trials Rasha Abdullah, the number of people tried under military tribunals after Mubarak’s ouster is overwhelming. Young screenplay writer Ahmed Abdel Kareem, who was present at clashes between the Egyptian army and demonstrators back in September 2011, was sentenced to four months in prison for terrorism. This was after a summary trial which lasted just 20 minutes. 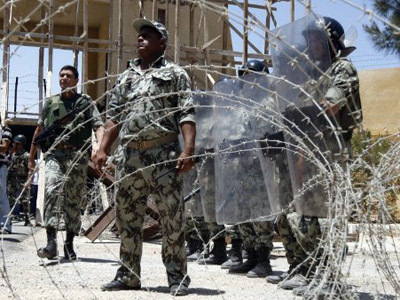 Egyptian army preparing for crackdown?